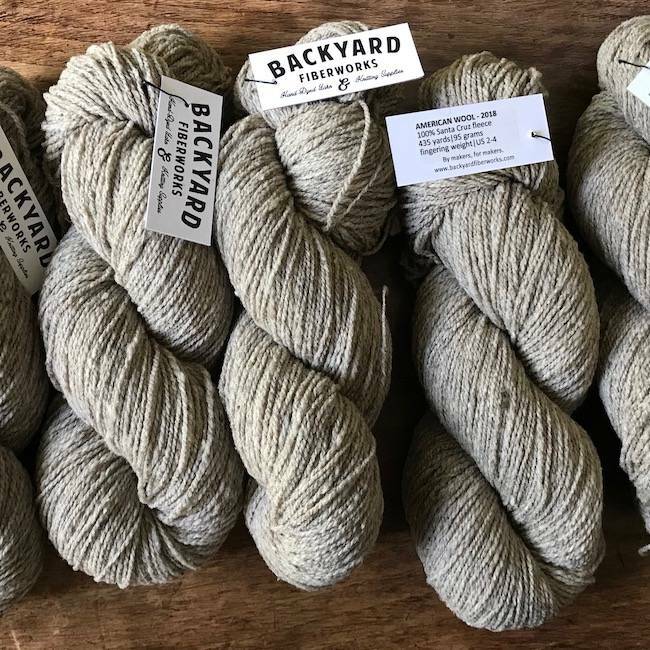 I’ve been thinking about genetic diversity, ever since Alice O’Reilly of Backyard Fiberworks sent us her box of 121 skeins of yarn made from 31 fleeces of Santa Cruz sheep. One of the rarest breeds, there are fewer than 200 Santa Cruz sheep in the world today. 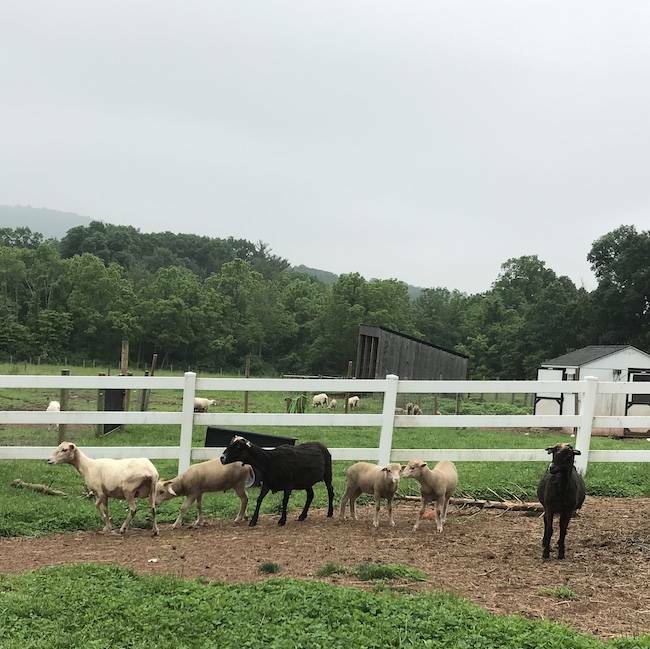 Alice told me that her goal in creating this small batch of yarn was to raise awareness of these rare sheep, as well as the larger issue of preserving genetic diversity in livestock. All she wants is for people to think about this. I’m grateful to Alice for her generous spirit. I just wish she’d had 1,200 skeins of yarn for us! In poking around the Livestock Conservancy website, I found a short video featuring the famed professor of animal science, Temple Grandin. I hope you’ll have a look—it’s up top—because it puts this flock of Santa Cruz sheep into a larger context. 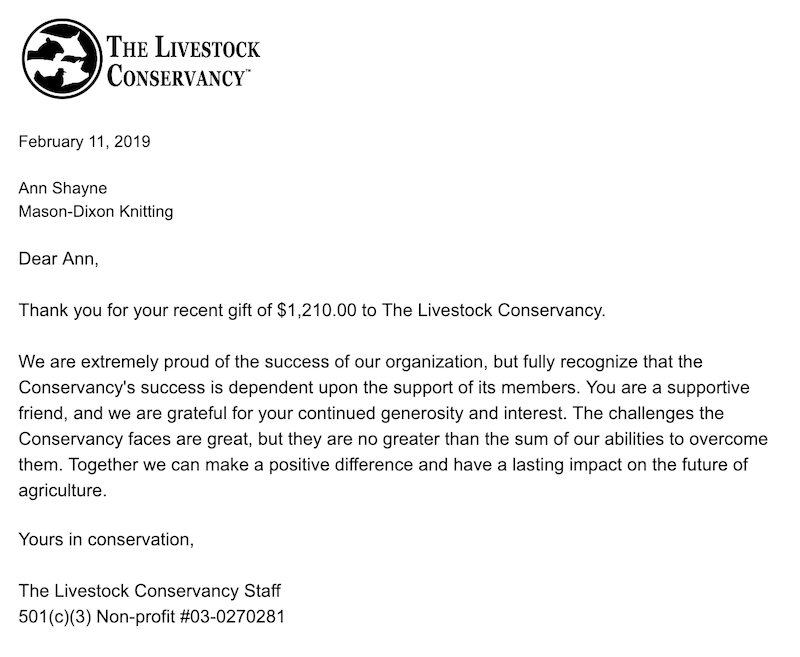 Thanks to the Snippets readers who bought Alice’s yarn, we sent $10 from each skein sold to the Livestock Conservancy, a contribution of $1,210. 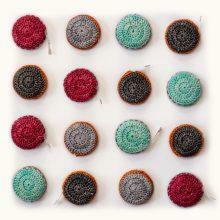 Thank you to everyone who bought a skein! Here’s hoping for a fertile flock in the days and months to come. 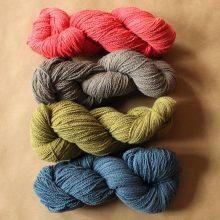 Here’s Alice’s story of her Santa Cruz yarn. Last summer I found 31 needles in a fiber haystack. 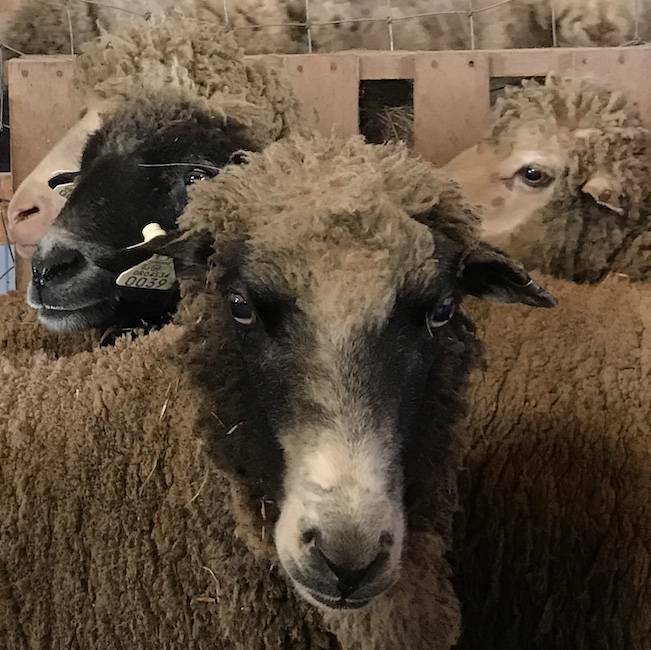 I’m talking about 31 soft, fine, bouncy, and most definitely rare fleeces of the Santa Cruz sheep. Formerly of the Channel Islands off the coast of California, the Santa Cruz sheep once numbered in the tens of thousands. After a long history on the Island and experiencing various states of feral living and domestication, the population of the breed has dwindled to fewer than 200 in the United States. 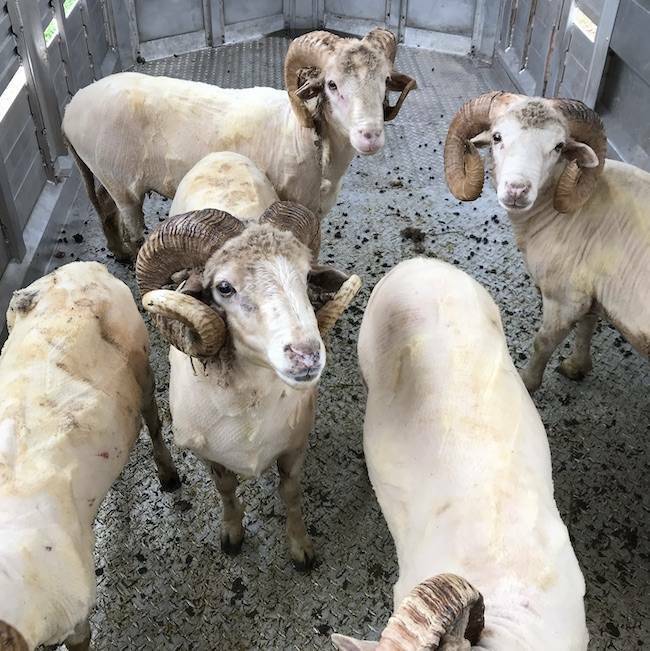 Listed as critical on the Livestock Conservancy watch list, these sheep were a precious few. The sheep were small and not interested in people without food—remnants of their feral island lifestyle, perhaps. 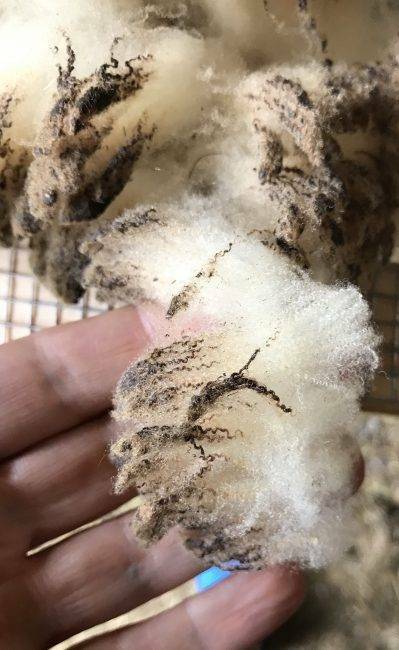 I found that the fiber was soft and fine, with an amazing elasticity. 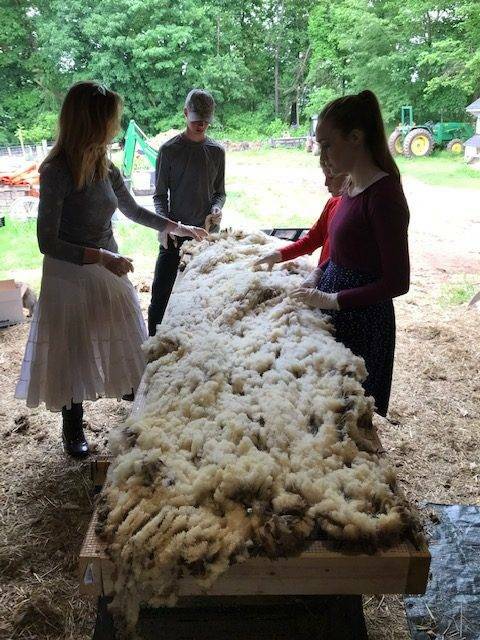 The fleeces made their way to Putney, Vermont, where Green Mountain Spinnery put in lots of hours researching the Santa Cruz fleece to make sure whatever we created would be the best use of this magic opportunity. There are only 121 skeins of this yarn at the moment. But the good news is that new lambs were born, and we have hope for more this year. Thanks, Alice! And thanks to Mike Kearney and Marcus Hoover for doing a beautiful thing. PS If you’d like to subscribe to our Saturday newsletter, Snippets, sign up here. We make our special offers available to Snippets readers first, so if that sounds like fun, come join in. 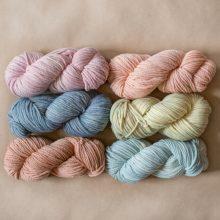 Natural dyes and minimal processing make for very special yarn. I tried and failed to buy some. It is a wonderful story though. Thanks for letting us know. I can’t wait to receive this very special yarn. 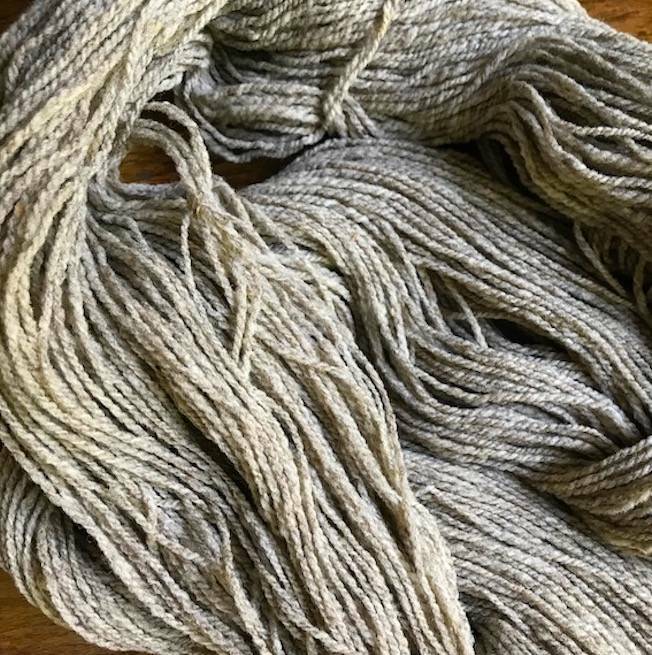 I’ve rationalized my impulse purchase last Saturday by telling myself it was all for the per skein donation to the Livestock Conservancy, but I am not fooling anyone, least of all myself. I missed out, too. Dr. Grandin has made animal studies her life’s work. I had the pleasure of hearing her speak in graduate school. Indeed we need to conserve these rare breeds. Thank you for the interesting article. I missed out on the yarn but feel better knowing that it sold out in minutes (I looked really early and ithe first batch was gone and I was volunteering at the zoo when the second wave was going live). I am thinking of doing the Livestock Conservancy’s Shave Em to Save Em challenge. Anyone want to join me? 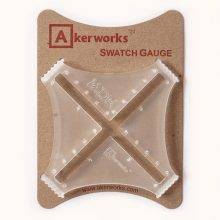 Maybe the shop could be a source for this? I’m in! I just learned about, and joined, Shave ’em to Save ’em last weekend. What a worthy cause! I can’t wait to touch/knit yarn from these heritage breeds. What a lovely story. So great to hear of those who protect the animal kingdom. It is so important and I thank God there are those who do. Hooray! I was just going to post this same link. This is all so fascinating. Thank you, MDK and Backyard Fiberworks for your part in bringing this story to us and for donating to the cause. 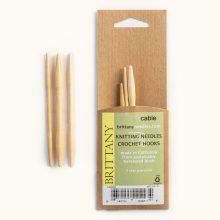 I wasn’t able to get any of the yarn, but really enjoyed learning about this. What a fantastic educator Temple Grandin has been. How serendipitous that my admiration for her work intersects with my interest in yarns and knitting. Best wishes to those who were lucky enough to purchase those coveted skeins. Thanks MDK for posting about Livestock Conservancy. Since I missed the boat, am curious how much they sold for. TIA! Thanks for the clip. It’s good to be reminded Dr Gradin doesn’t look like Claire Danes! I am so proud I am involved in theeir spinning program. Family events got in the way of my hope to grab some, but it is a great story, and hopefully there will be more in years to come! Excellent story, excellent pictures of beautiful sheep! 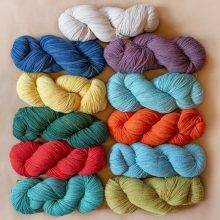 Congrats to the lucky folks who got a skein, and so glad to hear of this worthwhile donation. Thank you so much for sharing this very special story. Santa Cruz Island sheep have come close to extinction a couple of times. They survive and grow thanks to very special shepherds like Mike & Marcus. 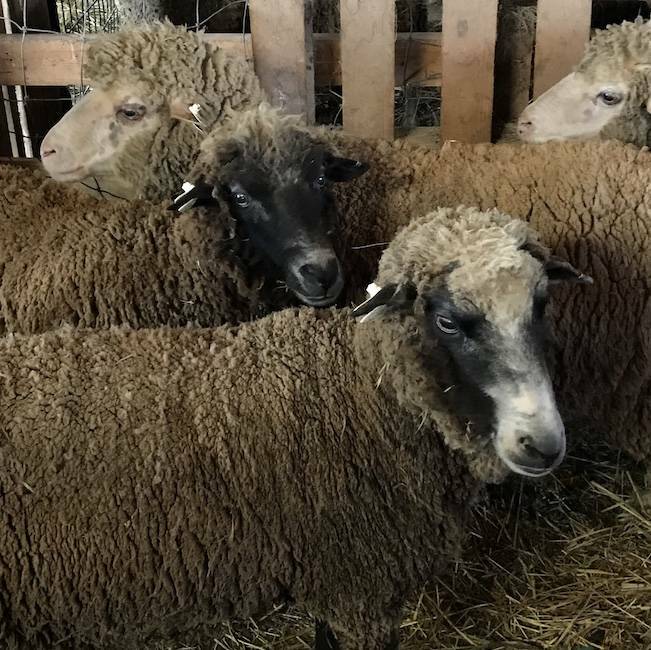 Amazingly talented fiber magicians like Alice, #GreenMountain Spinnery, #Mason-DixonKnitting, and each of you who are having fun with this wool are essential to Mike, Marcus, and all shepherds who raise rare-breed sheep. You bring me great joy.